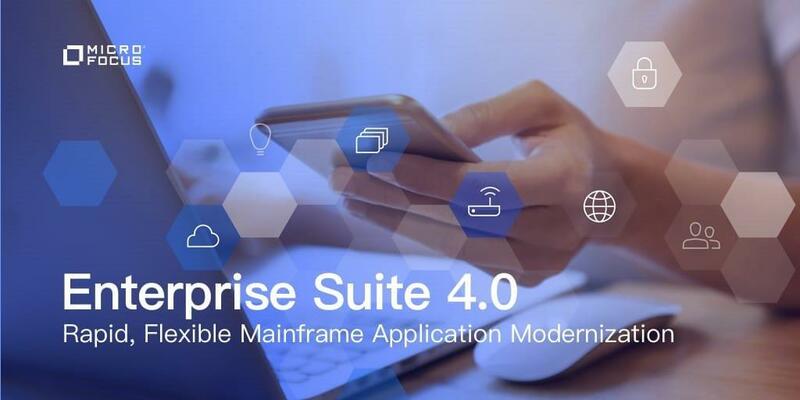 In June 2018 Micro Focus announced the new release of its mainframe application delivery technology, Enterprise Suite 4.0. This blog examines the release in more detail, examining the issues driving modern mainframe technology and how Micro Focus has aimed to address those needs. The blog serves as useful recap of the customer webinar we hosted on June 28th. First, it is worth reminding ourselves that the clients we talk to are faced with a similar challenge regardless of their organizational strategy. And that challenge is to maximize the value IT brings through innovative technology, while maintaining a functioning business as usual set up. Keeping what works working, while building a bright future might feel like rebuilding the jumbo while you are still in the air, but this “old AND new” dilemma is a critical factor in an organization’s’ competitive edge in the digital era. Fit for Purpose – This theme ensures that as more significant, business critical workloads are being deployed across a range of servers, then our environment can provide the right level of reliability, availability, Serviceability and performance the application teams or users need. Particular examples in this release include the ability to ship COBOL apps inside Docker containers. Another area of improvement is the significant strides in further improving our PL/I support and mainframe compatibility for those with PL/I applications. Security – This theme aims to ensure applications and the application development environment meet stringent and evolving security needs. In 4.0 we have further enhanced our support for TLS ensuring Micro Focus technology aligns with the customer’s chosen security infrastructure. Our products support the latest and earlier TLS levels to conform to an organisation’s requirements and preferences. New controls to limit the access to the Communications Server based on location further mitigates security threats. Application modernization – This theme ensures that customers have the tools and capabilities to support different application modernization strategies – For example, with 4.0 a developer is now able to use our new application intelligence reports framework to create highly customized reports to map and monitor modernization efforts in areas say such as platform change, changing databases, moving to a new version of Enterprise COBOL, looking at coding standards, or a whole range of other change projects. For the developer too, there are utilities to help now for example with building REST/JSON web services, there are a range of new editor enhancements – including inline renaming, section extraction and automatically insertion of closing statements to name just a few. Modern development – Micro Focus provides tooling that supports modern processes, testing and automation. And modern app development uses a variety of 3rd party tools in the tool chain to support Continuous Integration and a range of other workflow tasks. Version 4.0 supports all those points of integration, whether into Jenkins, or GIT, or other part of an agile delivery toolchain, without leaving the developer’s IDE. Of course, the mainframe developer should have the same modern language capabilities anyone else does, things like unit testing frameworks, code coverage, performance profiling and coding standards checks. These are all in Enterprise 4.0 providing a stable, consistent, and efficient coding environment. – Which programs are using a specific copybook? – What will be affected if I change this line of code or data declaration? – Which programs access this data file or table? Ease of Use – With the Enterprise Suite, Micro Focus is committed to providing an experience that is easy to use and compatible with the mainframe. So 4.0 includes a simplified installation, setup and integration to the mainframe, so users can quickly start using the Enterprise Suite technology and easily make sure it is synchronized with the host. With a range of key themes driving the update, covering several products, supporting the three pillars of modernization, there is a lot of detail in this release. However as Director of Product Management Eddie Houghton explained on the webinar, this is a single holistic solution for mainframe modernization, and one which already supports hundreds of clients globally. “The Enterprise Suite is integrated into a collaborative pipeline for developing and deploying mainframe applications. No matter what the bottleneck our solution will align with existing mainframe toolchains or even new agile tools in order to incrementally, and dramatically, improve the mainframe application delivery effort”. Asked what might be the start point, he added, “Each situation can differ, but it often starts with the mainframe platform today with established processes for managing and releasing application. Modern tooling directly integrated into the mainframe can improve developer efficiency and provide application knowledge. Synchronizing mainframe and distributed SCCM processes will accelerate parallel development and delivery, also integrating with continuous integration to drive costs down and velocity up”. Enterprise 4.0 is now available so don’t hesitate to visit the website or find me on Twitter to discuss further. Click the image below to download your own copy of our launch webinar we recorded for your convenience.